Whether it was a disposable camera left on the table in the ’90s or a traditional photo booth in the noughties there has always been a desire for guests to capture their own fun pictures when celebrating a wedding. The photo booth industry is thriving with new innovations been developed annually, one of which was the new Magic Selfie Mirror. This differs from its predecessors quite significantly and offers many more advantages than were previously available to clients. Like any other photo booth, it comes packed with all the usual functionality. It will take pictures of you and your guests, they can be shared to email, SMS and social media and it will print them! But let's talk about where this product really stands out. Firstly, it looks striking, and from first glance, it's like looking at a large mirror as you can’t see any of the magic that lies under the hood. It is interactive and guided by animations, so you and your guests are entertained throughout the process. It also takes up a lot less space should this be a consideration for your venue. You can draw, sign and even put emojis on the prints which adds that little extra customisation. All this sounds great, right? But here is the real selling point for weddings, unlike any other product on the market its portrait! So, unlike the sometimes-limited traditional photo booth, you get to see more than just the head and shoulders of a subject and capture those beautiful wedding dresses in their glory. Also, should you have wheelchair users or children coming? No problem as its portrait it will capture everything! So, there you have it, the Magic Selfie Mirror, over at My Fun Photo Booth. 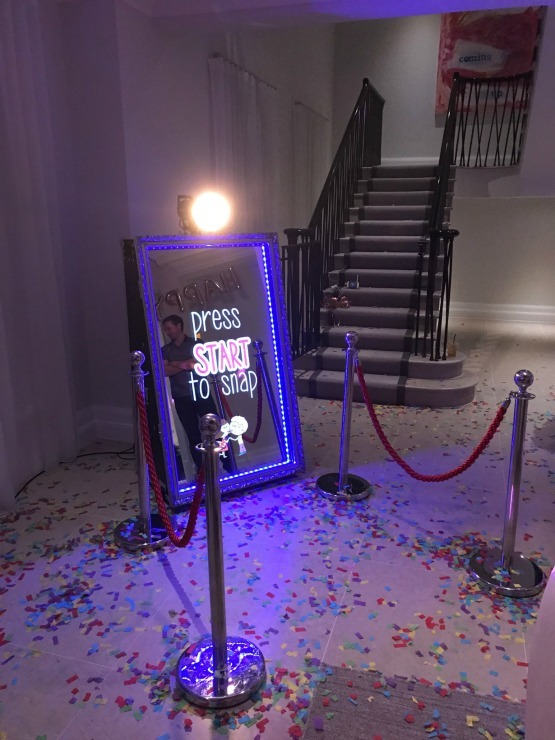 They offer photo booth hire in Surrey, Sussex, Kent and London and in 2019 it will certainly take centre stage at weddings up and down the country! Oh I do love these type of photo booths - so much fun and they make wonderful souvenirs.